Directory > Chiropractor > WA > Spokane Valley > Gina Wolf, D.C.
Gina Wolf, D.C. practices as a Chiropractor in Spokane Valley, WA. 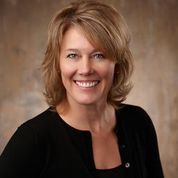 Services Gina Wolf, D.C. practices at 15404 E. Springfield Avenue, Suite 100, Spokane Valley, WA 99037. Chiropractors diagnose and treat common spinal misalignments that can occur from lifestyle or injuries causing pain, discomfort and degenerative conditions. Gina Wolf, D.C. may be able to treat; back pain, sciatica, neck pain, shoulder pain, headaches, sports injuries, and auto accident injuries. Great, caring, chiropractor. I haven't been to her in years but I am in need again so I'm going back to get another adjustment. I refer all my friends & family to her. She takes pride in what she does & really listens to the patient & their concerns. I have been a patient of Dr Wolf since 1999. She is amazing. She has helped me to keep free of chronic headaches and also has helped me with pain I experience in by back, ankle, shoulder, and hips. She has helped me get additional help when needed. She really cares about your health and quality of life. I so appreciate her!